Ailsa’s travel theme this week is Sculpture. Click here to see more entries. 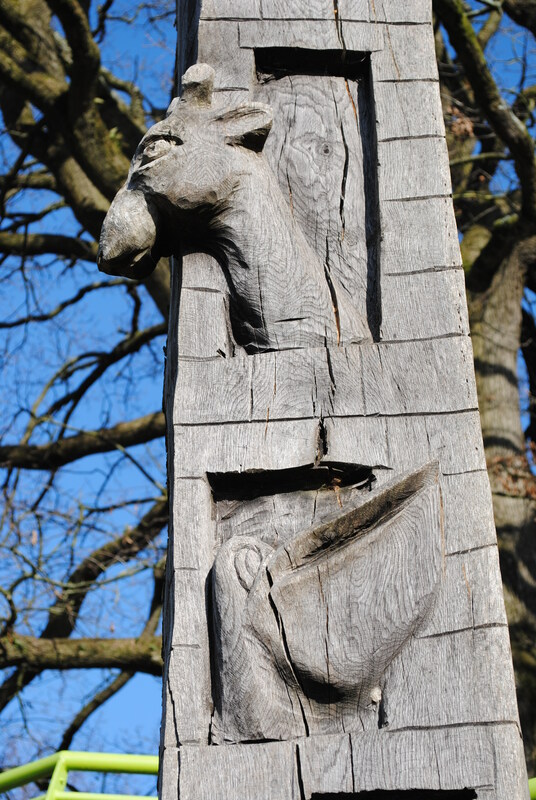 I quite often take photos of interesting bits of sculpture I come across when I’m travelling, so this challenge was quite easy for me. Here are a few of my favourites. 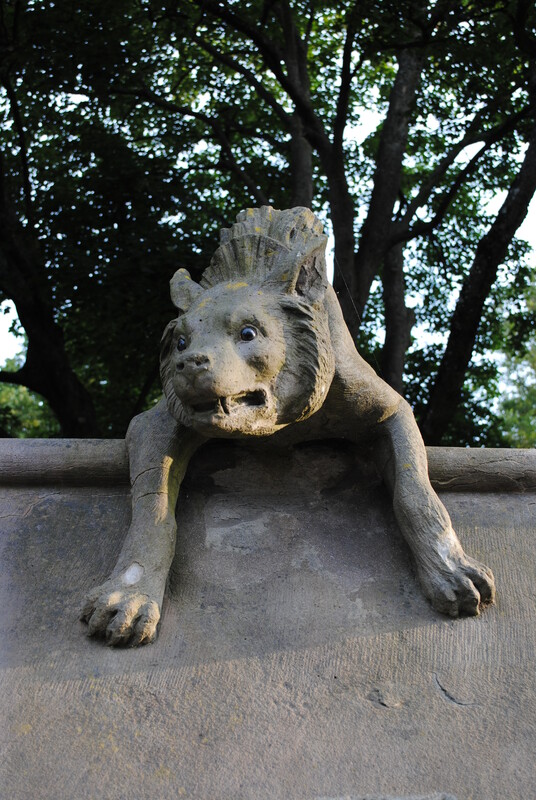 The Hyena is probably my favourite grotesque on the Cardiff Animal Wall. 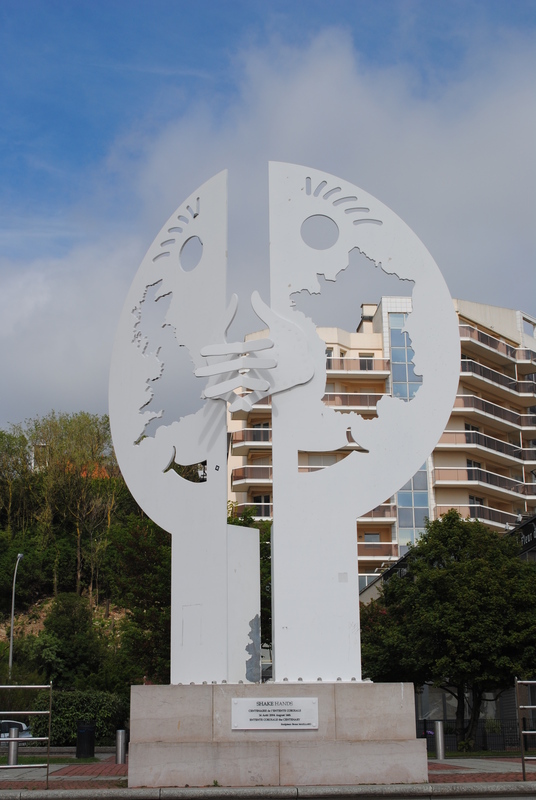 This sculpture stands on the harbour in Boulogne-sur-mer, France. I like the symbolism of unity between France and the UK, although the scale makes it look like either the UK is very big or France is very small! 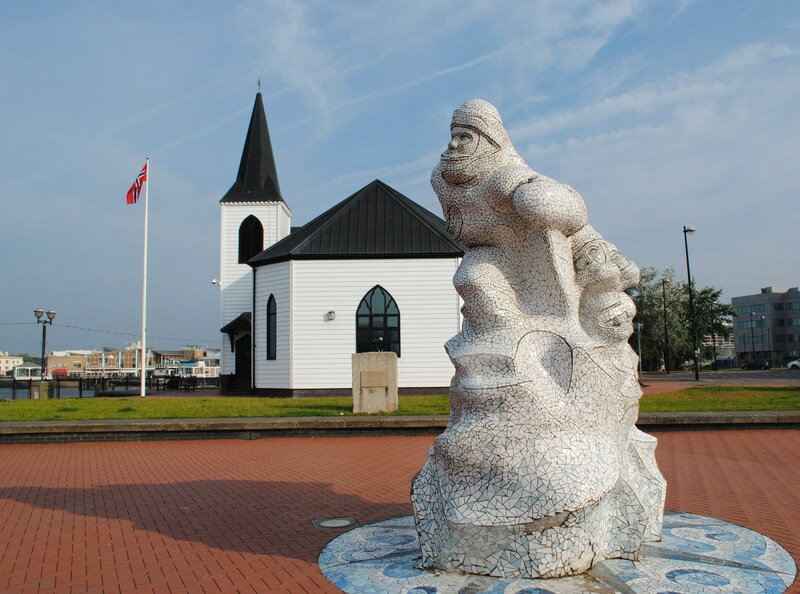 There is lots of culture down the Bay in Cardiff, including this piece which depicts Captain Scott of the Antarctic which stands dramatically in front of the Norweigan Church. And finally, The Giraffe and the Pelly and Me. This tribute to Roald Dahl’s book stands in my local park, and I thought I’d include it because we’re all kids at heart. Pingback: Travel Theme: Sculpture. | the unbearable lightness of being me.